Nova Launcher is one of the most popular apps on the Play Store thanks to its rich features and fluid navigation. But one downside that comes with this abundance of features is that much of Nova's functionality is lost on the masses. Fortunately, I've used Nova for several years and learned a few tricks along the way. With Nova Launcher, users can customize the experience to address their needs. The development team at TelsaCoil has built in many tools that not only modify the look of your home screen, but also how it functions. The tips below focus more on the latter — improving workflow without hindering aesthetics. Gestures are a great tool that let you quickly launch apps and improve overall navigation. 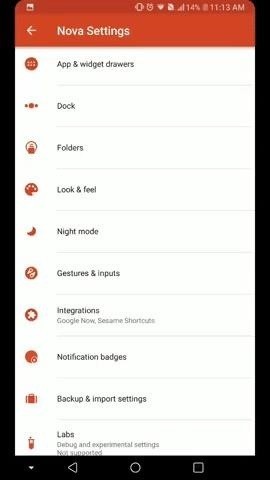 While many Android skins have a few built-in gestures, Nova Launcher allows any device to employ this feature. But a common question asked is what to use the gestures for — how about to quickly jot down a note? 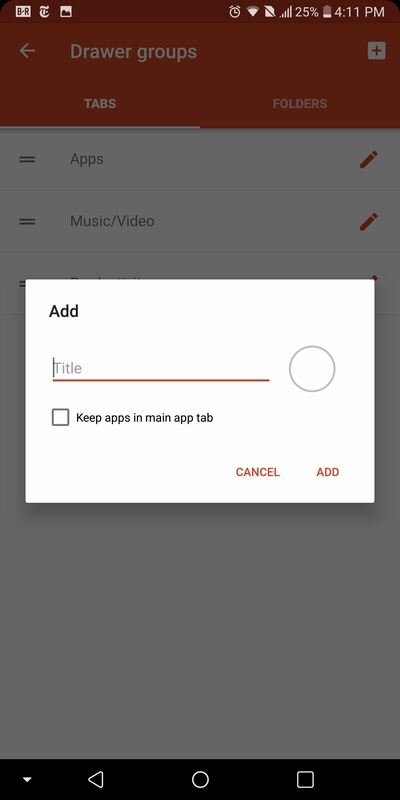 To try this one out, you'll need to set up a Nova gesture that launches Google Keep's "share receiver activity." 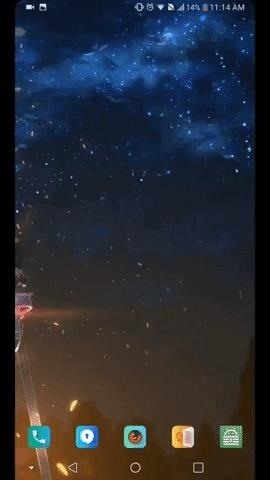 You can learn all about Nova gestures here, or you can just head here to see how to set up this specific gesture. 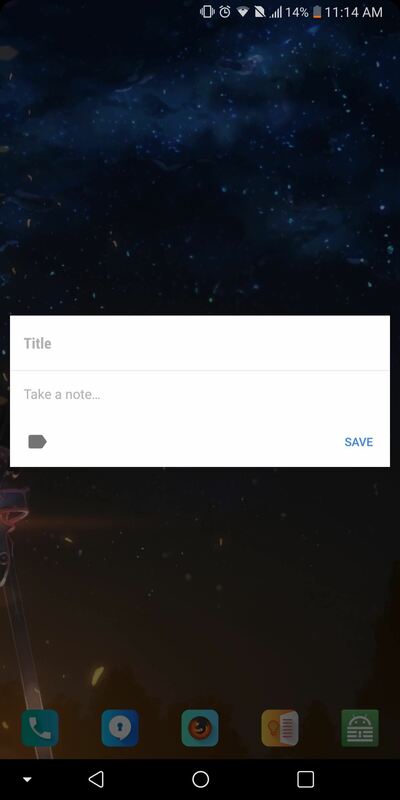 Once you've set it up using whichever gesture you prefer, you can both launch Google Keep and open a new notepad with a quick swipe, tap, or pinch on your home screen. Now, you no longer have to lose those sudden great thoughts that pop up in your head. As quickly as they come, you can write them down. If you use Google services often, Google Now can be one of the most valuable apps on any smartphone. 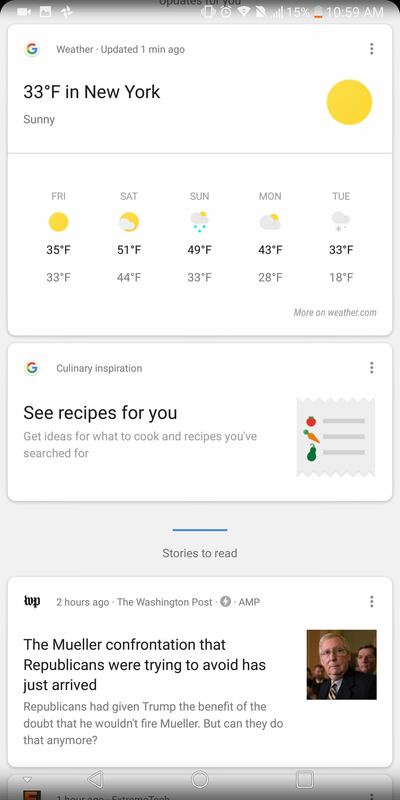 Using the data it collects, Google Now gives you a customized layout of the information you want (and need) at a quick glance. Helpful tools such as traffic information for your commutes can help save precious seconds that would be otherwise be spent digging into menus of apps. For an in-depth tutorial on how to enable Google Now in Nova Launcher, just head to the link below. 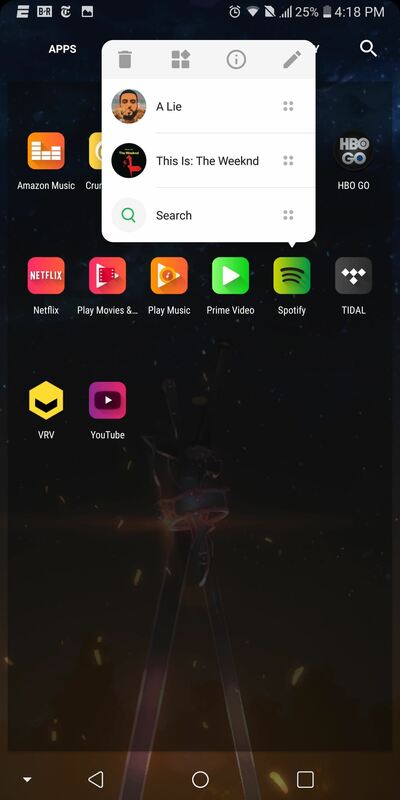 Once you've done that, you can make the experience even better by setting up Nova's "Edge Swipe" gesture to give you Google Now access from any page — not just the leftmost home screen. 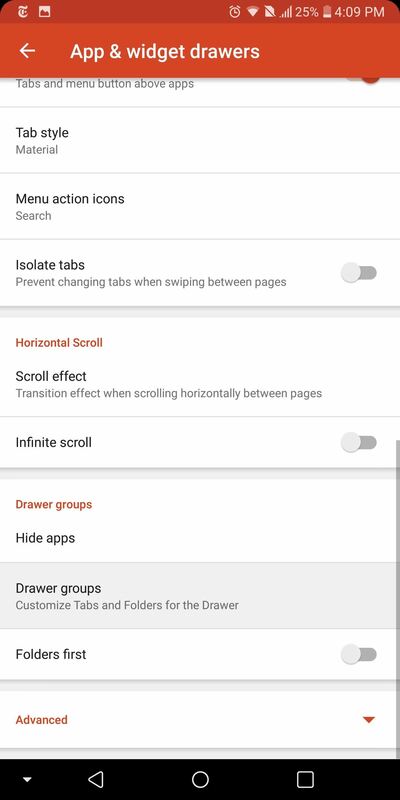 To set up the "any page" gesture, open Nova's settings menu and select the "Integrations" option. Tap the "Edge Swipe" option to enable it, which will also gray out the "Google Now Page" option. Now, from any home screen, you can swipe in from the left edge to reveal the Google Now page. This way, you can get to this useful information even faster. After we download a few hundred apps, our app drawer can become pretty disorganized. 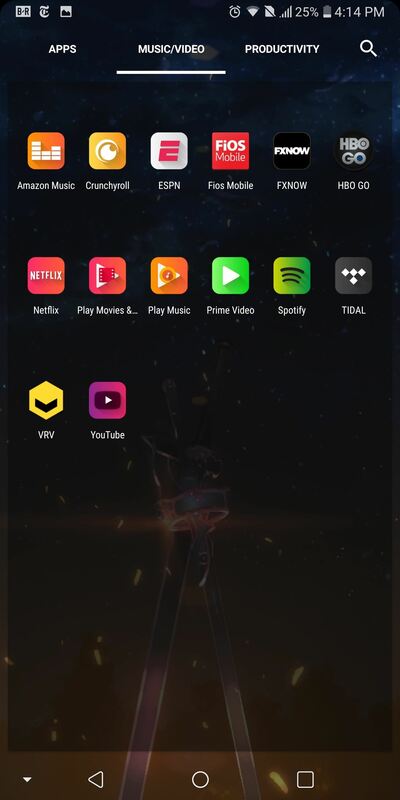 Although we can add our favorite apps to our home screen, Nova Launcher provides an alternative option that allows for even better organization. 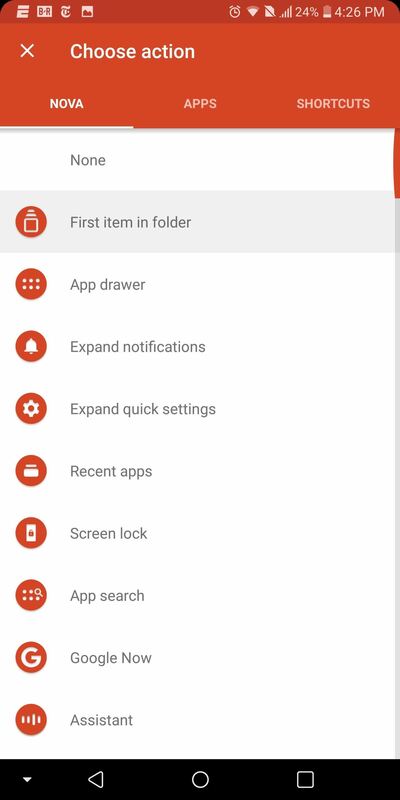 From Nova's Settings menu, select "App & widget drawers" and choose "Drawer groups" located near the bottom of the list. While within "Tabs", select the crossed square in the upper-right corner of your display. 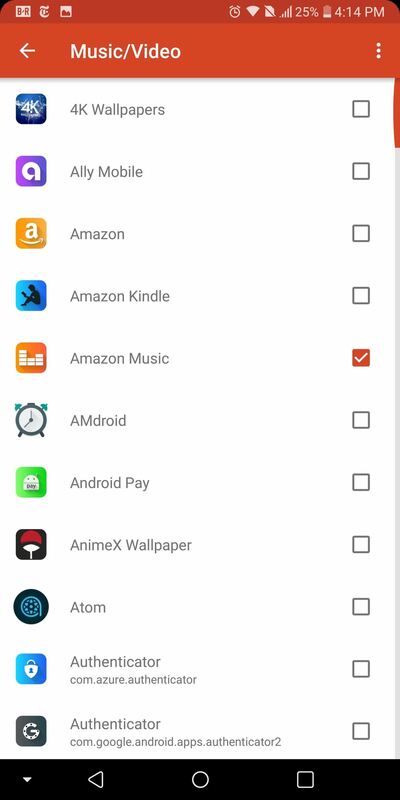 Using this feature, you can create sub-categories within the app drawer. Once you have given your first category a name, select the new entry located in the list. You will then be presented with a list all the apps installed on your device. By selecting the checkboxes, you will move a copy of the app from the default app drawer into the new subcategory. When you finish adding apps, tap your back button. Now when you pull up the app drawer, your new tab will be positioned along the top of your screen, next to the default tab Apps. By swiping right, you will reveal the apps that you added to the new category. If you want to really be a master, long press any app within this new tab and select the pencil icon in the upper-right corner of the sub-menu. Uncheck the "Apps" box to remove the app from the default app drawer, thus reducing the clutter in your default app drawer. Folders are a great way to organize your home screen and decrease the amount of space normally taken by icons. Typically, we create a folder based on apps which share similar functionality. Normally, within the folder, there is at least one app that we use more than the others. 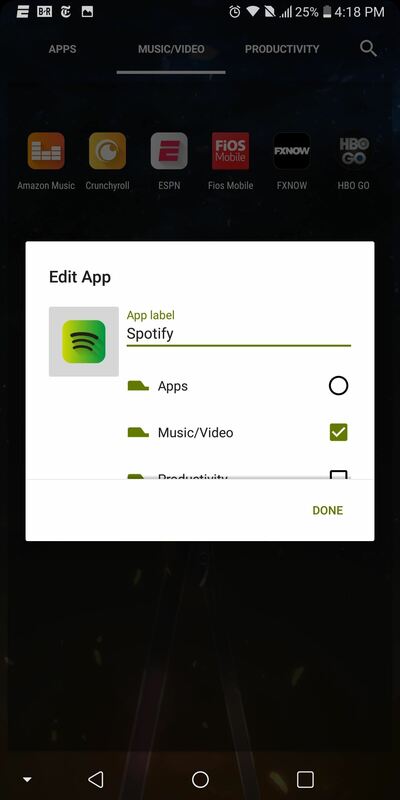 Instead of having to open the folder each time, then selecting this app, Nova provides a much faster way. Long-press a folder currently residing on your home screen and choose "Edit." Under the Swipe action grouping, select "None" to reveal the drop-down menu. Choose "First item in folder," which will return you to the previous sub-menu. Afterwards, select the toggle "Swipe to open folder" then choose "Done." You just made two changes. 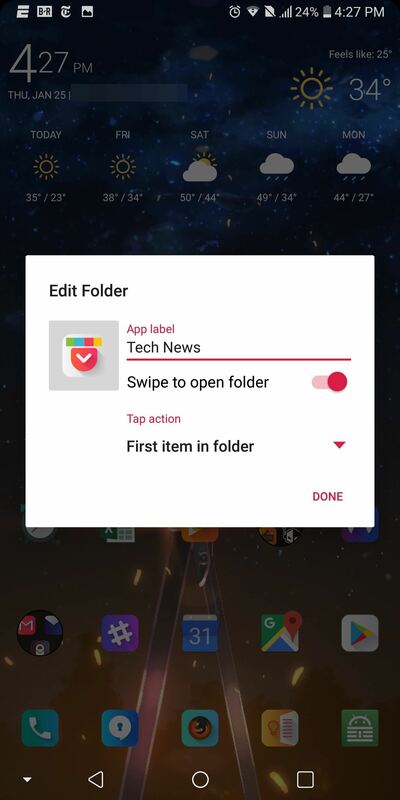 First, no longer is the folder shown, and instead, it's been replaced by an icon of the first app inside of the folder. Second, to reveal the folder's contents, you simply swipe up on the icon. And if you want to use the shown app, just select it as normal. In short, it's both an app icon and a folder now. The Play Store is home to millions of apps to address users' various needs. However, some apps users want to keep private from prying eyes. Instead of someone scrolling through your app drawer and judging you, you can hide away the app so that only you know about it. Hiding apps also has the benefit of clearing up space in your app drawer. Not only does it remove private apps, but it's also a great no-root tool for clearing bloatware installed by the OEM. 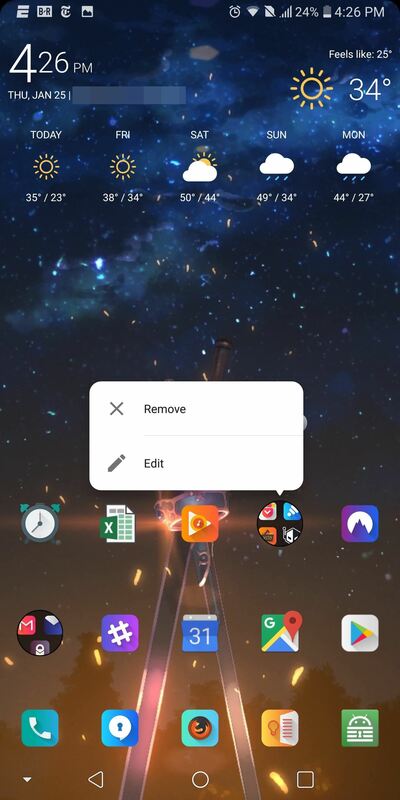 Plus, if you access any of your apps using a swipe gesture or an icon or widget on your home screen, you can hide it from your drawer since you have another method of opening it anyway. App icons come in all shapes and colors. By default, Nova will normalize the apps so that each icon is the same size. However, for a more uniform look, Android introduced a feature known as Adaptive Icons, which matches each icon to a specific shape. Unfortunately, this feature is only available to Android 7.0 Nougat and newer versions, and only 27% of users currently have access to 7.0+. 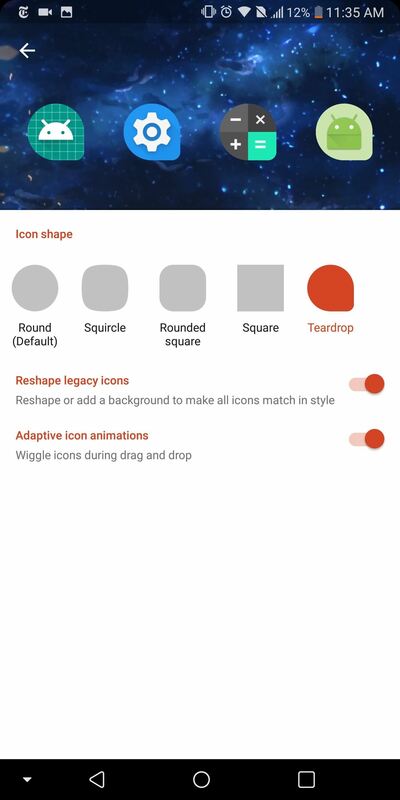 Nova, continuing their trend of innovation, added this feature to the launcher so that all users can now try Adaptive Icons. 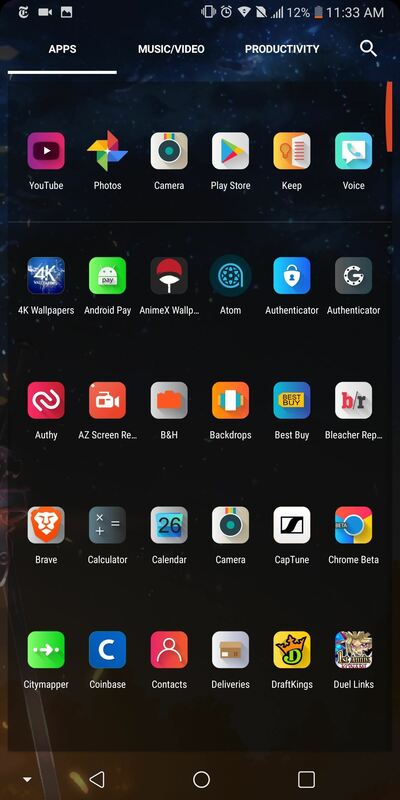 Nova Launcher recognizes that users spend significant time creating and perfecting their home screen and want a way to back it up in case something were to happen. 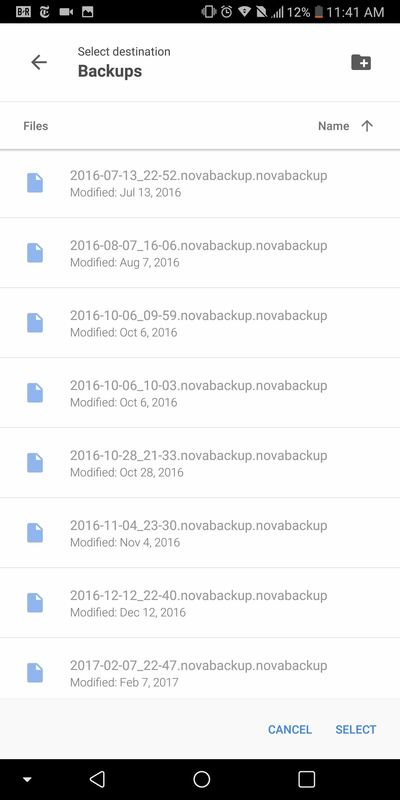 By default, Nova Launcher saves the backup file to the local drive. The problem with this method is it doesn't take into account the times when you need to carry this layout to another device. Whether you broke your old phone or you're looking to upgrade, you want this layout to follow you on the new device. This is where cloud-based storage comes in. 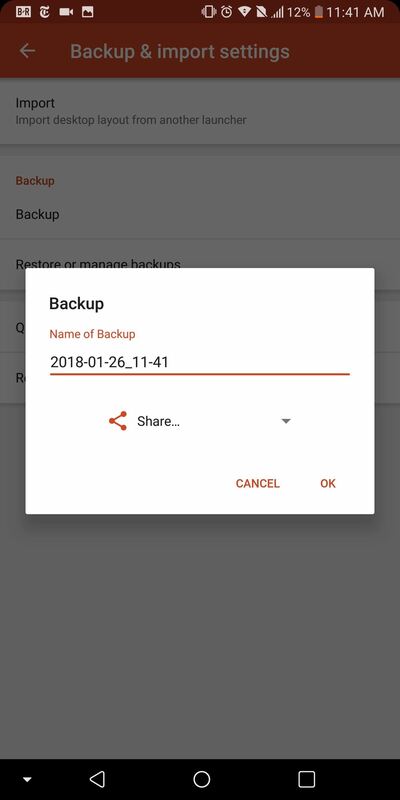 The link below includes instructions on how to save the backup file to Google Drive. 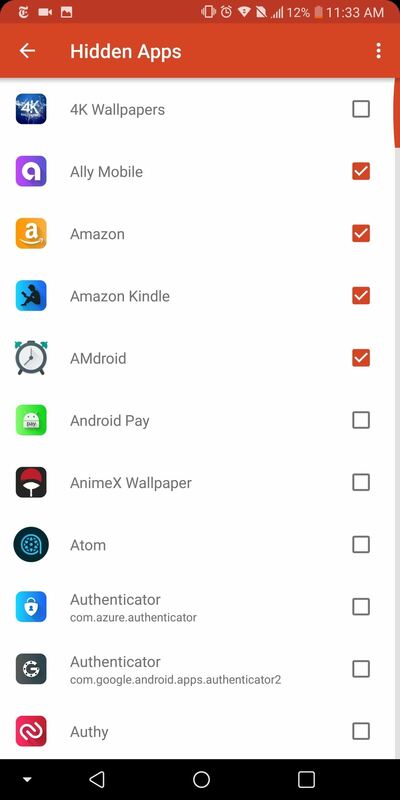 Now, wherever you sign in to Android, you always have access to this file (and thus, your Nova Launcher home screen layout), as Google includes 15 GB of Drive's cloud-based storage for free with every Google account. 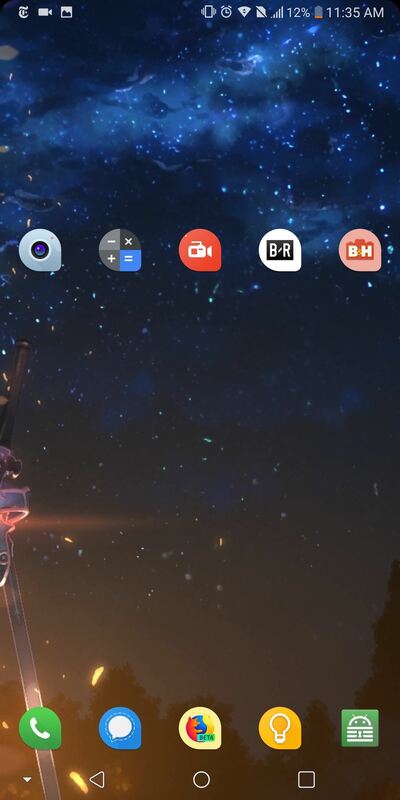 With these tips, you can start to use Nova Launcher like a pro. Not only do these tips reveal some of the more hidden functionality of Nova, but they improve productivity as well. Are there any other "Nova master" tips you know of that you'd like to share? Tell us about them in the comment section below.